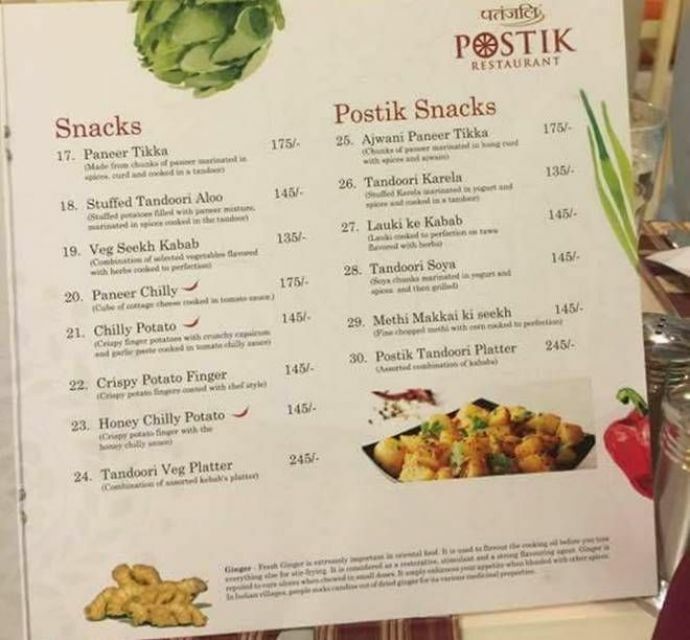 Do You Know About Patanjali's Postik Restaurant In Chandigarh That Serves Tandoori Karela? Patanjali’s very first restaurant - ‘Postik Restaurant’ is located in the Zirakpur area of Chandigarh. Chandigarh is known for being the cleanest and greenest city in India. But now there is one more thing that makes it even more special. 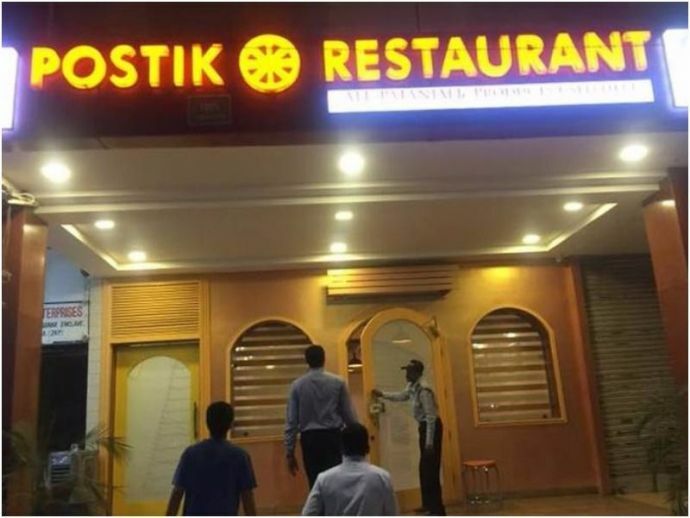 Patanjali’s very first restaurant - ‘Postik Restaurant’ is located in the Zirakpur area of Chandigarh. Reportedly, the place had opened a while back, but there was no formal inauguration that took place. There is no such confirmation whether the restaurant belongs to Patanjali group but the Directors of 'Postik Restaurant Private Limited', according to the Registrar of Companies data are Rajpal Singh and Jaspal Singh Sembhi. 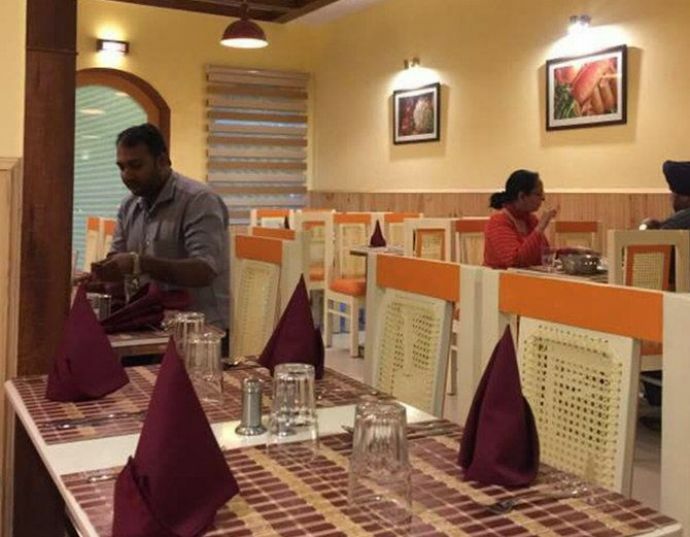 But the restaurant evidently promotes the pictures of Baba Ramdev and Acharya Balkrishna along with their messages on the walls and also on the menu card. The menu cards as well carry certain health tips for the customers. The menu includes regular dishes along with some unusual ones like Tandoori Karela and Lauki ke Kabab. As the name suggests, the food that is prepared in the restaurant is made keeping in mind the customers’ taste and health.